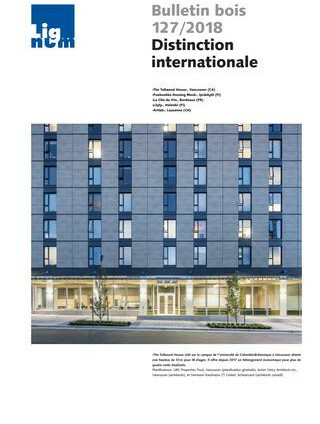 Le Prix International Architecture Bois décerné par la presse internationale est une distinction annuelle qui a pour ambition de récompenser l’accomplissement d’une réalisation d’excellence dans le domaine de l’architecture bois. 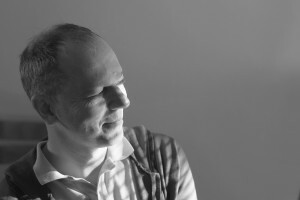 Il souhaite favoriser le développement d’une réflexion architecturale innovante concernant l’utilisation du bois tout en tissant des liens entre les pays au cœur desquels la construction bois joue un rôle de plus en plus important. 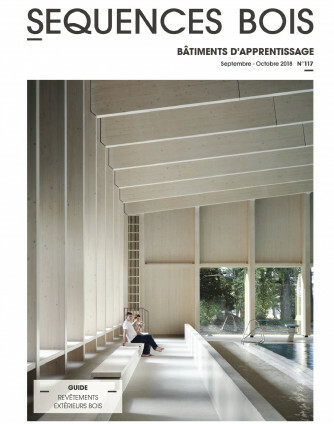 La cérémonie désignant le lauréat se tient chaque année pendant le Forum International Bois Construction dans une perspective de promotion de l’architecture bois. 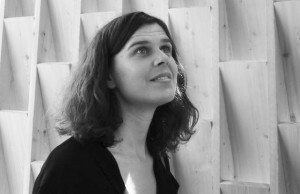 RESERVEZ DES MAINTENANT VOTRE SOIREE "WOOD AWARD"
Moderatrice: Margotte Lamouroux, Journaliste et Architecte. Décerné d’un commun accord par les revues participantes, le Prix met à l’honneur une réalisation architecturale en bois tout en soulignant la qualité du dialogue entre ses différents acteurs. 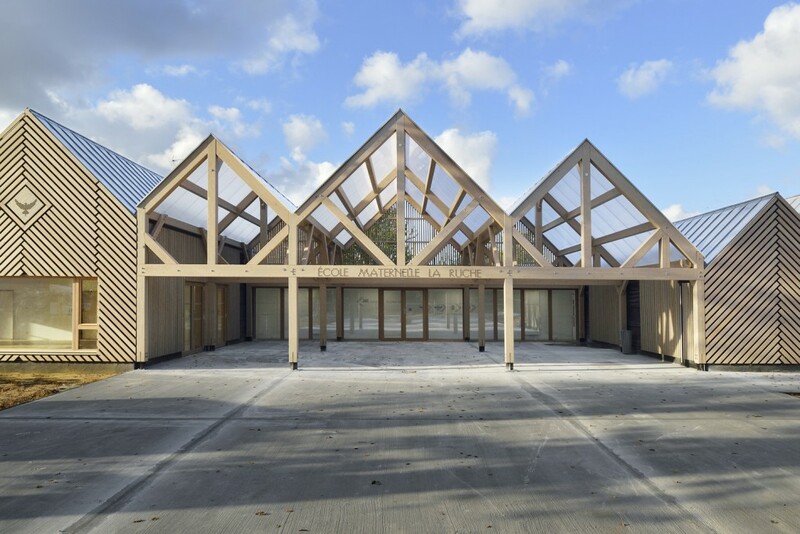 La cérémonie désignant le lauréat se tiendra chaque année pendant le Forum International Bois Construction dans une perspective internationale de promotion de l’architecture bois. 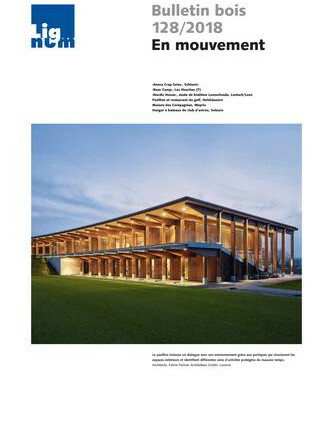 Wood Design & Building is the official publication of the Canadian Wood Council, the national association representing manufacturers of Canadian wood products used in construction. 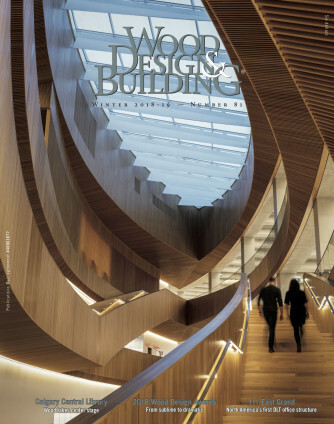 Our inspiring and award-winning design and editorial offers a one-of-a-kind focus on wood as the primary structural resource in architecture. 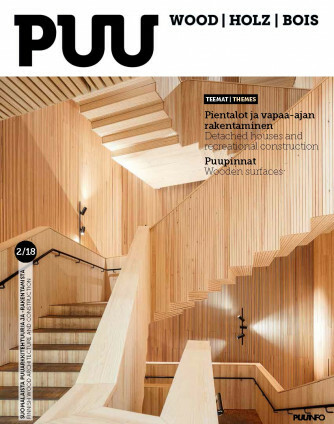 Wood magazine (Puulehti) presents Finnish wood architecture and construction. It promotes the correct and high-level use of wood products in construction and interior design. The magazine is published three times a year and has a history dating back 38 years. 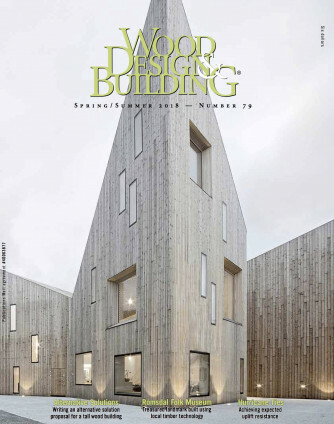 Wood Magazine is published by Finnish Timber Council called Puuinfo ltd.
Séquences Bois is a French wood architecture magazine, published five times a year, recognized by all professionals in the construction industry. 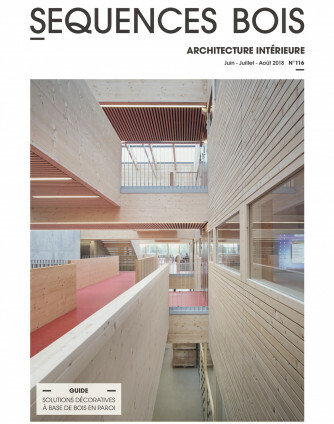 This magazine aims to show the excellence of wood materials by highlighting French and European exemplary constructions with themes specific to each issue. In each of them, six constructions are presented, including a project valued for its technical details, and another for the singularity of its implementation. 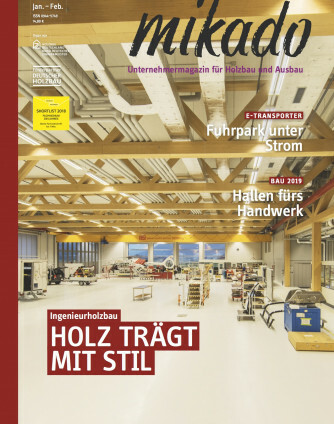 The magazine also includes a thematic guide, echoing the subject of the issue, consisting of a selection of wood products presented as technical sheets. Séquences Bois also disseminates informations about the industry, book publications and events related to wood. 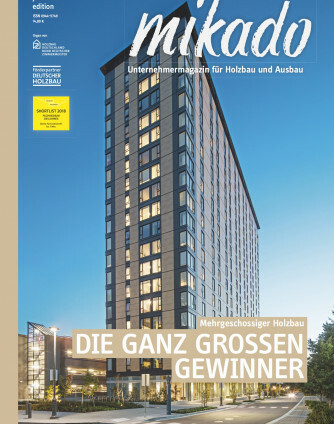 „mikado – Magazine for Entrepreneurs in Timberconstruction” is an international professional magazine and the official mouthpiece of Germany’s carpenter-association “Holzbau Deutschland”. mikado delivers information in a balanced, practice-oriented, innovative and hands-on manner. This is why it has become Germany’s leading magazine for decisionmakers in carpentries and timber-constructive companies. Among the readers are architects, civil engineers, manufacturers and traders for buildingmaterials, representants for associations, guilds and training centres. The editorial staff focuses on a reliable, practice-oriented coverage. 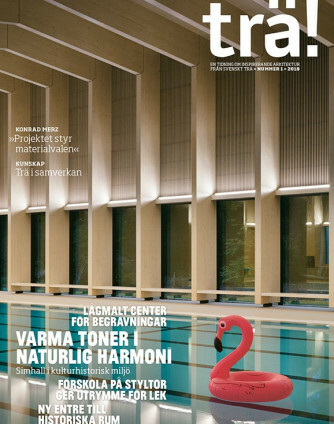 As one of the Nordic region’s biggest architecture magazine, Trä! is aimed at architects, structural engineers and building contractors. We write from a global perspective about architecture, design, innovations, smart solutions and trendsetting individuals. 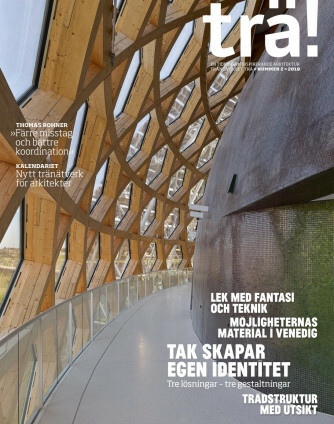 Four issues of Trä! are published each year. Since 1979, the « Bulletin bois » in French or « Holzbulletin » in German by Lignum is published four times a year. Each edition deals with a particular theme and presents exceptional innovative achievements, with plans, sketches and illustrations. The choice of the selected objects reflects the actuality, thanks to regular exchanges with the offices of architects and engineers. Innovative construction methods, new building materials and interior designs are discussed, so as the latest trends in wood construction and wood use. Lignum is a global organization of Swiss forestry and timber associations.